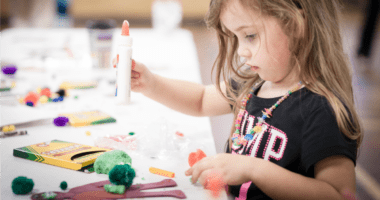 Crafts with kids can get a little messy, but watching them learn and create – without having to spend much money – is so worth it. 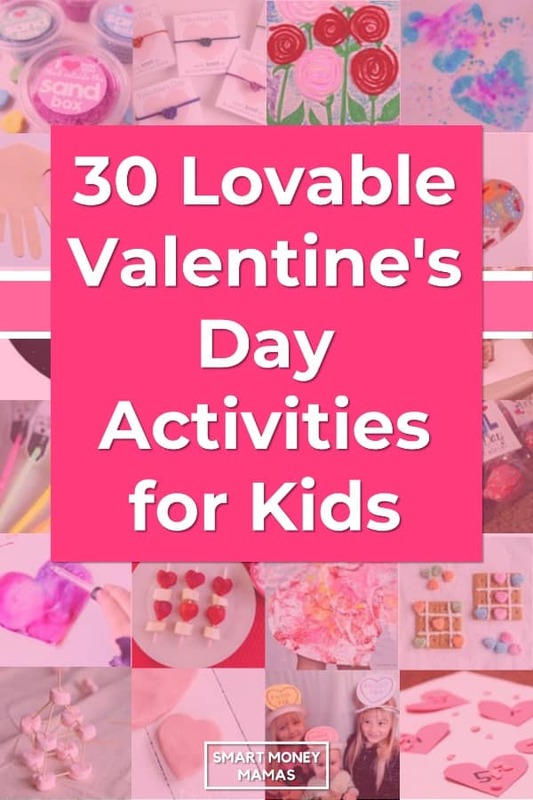 This Valentine’s Day, celebrate with your kiddos by breaking out some fun new crafts and activities. 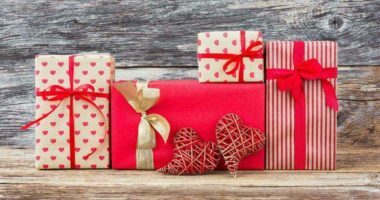 There are lots of options out there for different red and pink, sparkly, heart-filled, sweet-scented ways to pass the time and make a cute gift for someone special in your little one’s life! 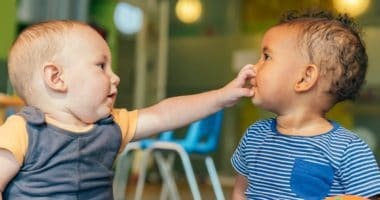 I scoured the internet, asked preschool teacher friends, and pulled a few of our favorite crafts to compile this list of ideas. 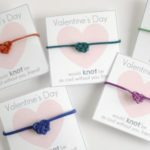 Have a crafty and love filled Valentine’s Day! These adorable cards make a great gift! 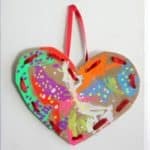 They’d be great for parents, grandparents, or anyone else who would love to display your child’s art projects! They are more product and less process but work well for younger kiddos who can practice the pincer grip while putting the tissue paper on. 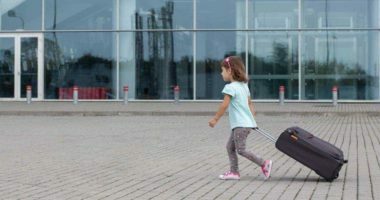 If you want to do this project with an older child, letting them cut the tissue paper or cellophane themselves would make it a bit more age appropriate. Clip clothespins onto pom poms and have the kiddos use them as paintbrushes while they paint on paper doilies. 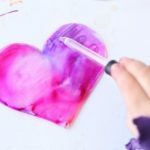 Let them paint hearts, create cards, or decorate the letter of a friend’s name with Valentine’s colors. This is a cheap, easy activity and typically everything (except maybe the paint) can be found at your local dollar store. 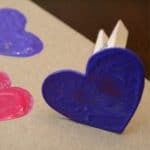 Hot glue a foam heart on the end of a clothespin to create a stamp. Then, all you have to do is give your kid some paint and a piece of paper! They can go nuts stamping paint in different sizes and colors. 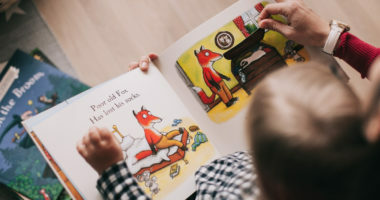 This is a great one for younger kids as it can be finished quickly! Give the kids liquid watercolors and pipettes. They can use the pipettes to drip the paint onto the coffee filters. 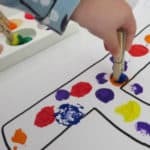 This is a great fine motor activity and always very popular with kids! However, sometimes the colors all blend together and/or don’t end up that vibrant after they dry so it might not be the best gift project. 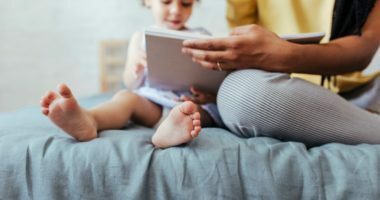 Super easy to change based on your child’s ability! You could use pipe cleaners, or yarn and either parent or child could draw the stem. If you want to skip the drawing, you could use all yarn or pipe cleaners for the whole project. Cut out a foam heart, put it on some yarn and string beads on it! This is a simple activity for kids of any age. If your child is younger and struggling to string beads, put a little tape on the end to form an aglet (tip of a shoelace, thank you Phineas and Ferb) to make it easier to string. 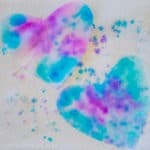 Corn syrup and food coloring on cardstock hearts. Pretty simple right? The swirl of different colors is really beautiful! 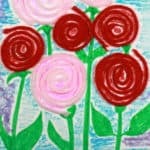 1 tablespoon of syrup to 5 drops of food coloring, then hand your kid a brush and let them paint! You could add glitter when they’re finished if they want. Drying time is longer than regular paint, but it’s worth it! This would be a great project for kids who aren’t ready for something too intense but want to try! Or kids who are more active and not very into projects. It’s quick if you do the prep work, and it involves some fun, aggressive action! This one is so cute and it smells great! 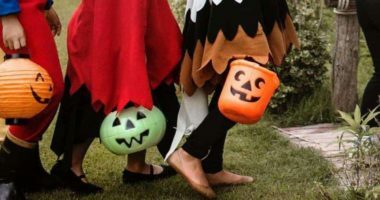 It is really fun if you have multiple kids who want to participate or kids who are excited to experiment and try different ways of doing something. If you have spare beads, buttons, pipe cleaners, or other small decorative leftovers from other projects this is a great way to use some up. 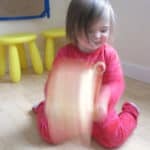 The recipe for the dough is worth keeping to make when you need a fun change of pace, or rather scent, with sensory time! 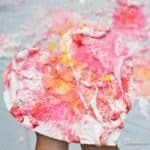 Here’s another amazing smelling play dough recipe! The adorable color and glitter celebrates the holiday with style. 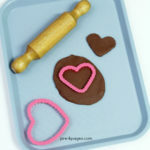 Let your kids roll the dough out and cut shapes with cookie cutters. Or give this great playdough as a cheap classroom gift! These always turn out super pretty. 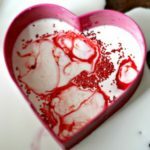 You could skip the splatter part and just fill a pan with shaving cream, drizzle paint on top, lightly swirl it, press a heart on top and scrape the paint/shaving cream off and shake glitter on top if you wanted to keep the mess down a little. Let’s be honest, some of us get a bit anxious over indoor mess and live in colder climates where taking a project outside in February isn’t really an option. 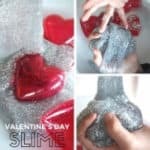 Take your favorite basic slime recipe, and make it festive! Food coloring, glitter, beads, confetti, sequins, fishbowl crunchy beads, and glitter glue make fun additions to slime to make them extra exciting! 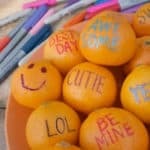 Take clementines and write messages on them in different colored sharpies! Think Sweethearts candy, but much healthier. You can also draw cute pictures – smiley faces, hearts, cupids. These adorable clementines would be great for snacks, lunches, or for your kid to hand out to classmates instead of candy! Strawberries, bananas, yogurt. That’s it! 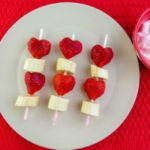 Just cut the strawberries into heart shapes, put them on a stick, and let your kids have a healthy snack that’s also fun! They can dip the kabobs in yogurt or just eat the fruit. If you don’t want to cut out strawberry hearts, you can mix heart sprinkles into yogurt! Edible games! 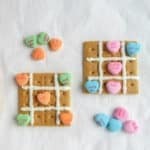 Use icing to make a tic-tac-toe board on a graham cracker. Split a box or two of Sweethearts into piles by color. Use the largest two piles to play a game or two before having your sweet treat! Perfect for a lunch box with some extra candies for your child to play and snack with a friend. Put square pretzels on a cookie sheet and top them with Hershey Hugs. Bake at 200*F for 4 or until lightly melted. Finally, top with an M&M from the Valentine’s pack. These are delicious fresh or frozen! 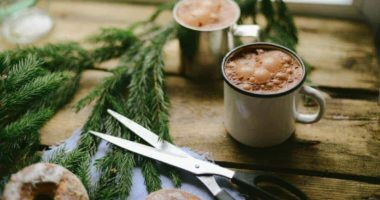 They make a quick sweet treat and they’re small enough to give in and let your kid have one or two without a huge sugar rush. This is a great activity for kids in the kitchen as they can do almost everything by themselves! A Valentine’s snack that isn’t loaded with sugar! Make your favorite soup that includes carrots, even a simple chicken noodle. But instead of just slicing the carrots, use a small heart-shaped cookie cutter to give your carrots a lovely shape! To get more carrot hearts faster, use a paring knife to cut a wedge out of the carrot. Then use a vegetable peeler to round the edges and shave into a point. Slice for easy hearts! This is super simple, and an easy way to give kids a fun, non-candy gift that they’ll enjoy. It also doesn’t take a ton of effort and older kids would be able to help do most of this one. Place a SuperBall into a hole in a construction paper heart. 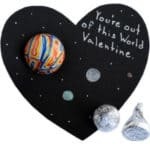 Draw some small stars and planets on the heart to make a card with a fun Valentine’s pun. What kid doesn’t love a glow stick! This is simple and even young kids could help piece it together. 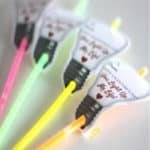 Use the free printable at the link above, cut out the label, and slide it onto the glow sticks. Kids might almost have fun choosing which color each of their classmates get. And everyone will have fun dancing around with their glow sticks. Kids love this stuff! It’s fun, squishy, and doesn’t dry out. And it’s relaxing for adults too! You can buy larger sizes and split them up into condiment containers and use the fun free printables to make them extra fancy! 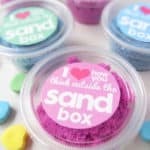 It’ll be like a mini playdoh without the mess of typical sand. Let your kids take their broken crayons and peel the paper off. Break them into small pieces and then put them into a silicon heart mold. Bake at 230*F for 10 minutes before removing, cooling and taking out of the mold. 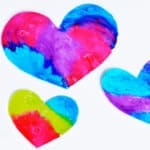 They make fun, multicolored crayons in a heart shape! Plus, you get extra use out of those broken crayons. 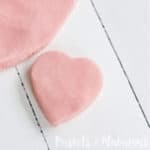 The Strawberry Glitter Playdough (sensory section) would make a fun classmate gift and you could include small cookie cutters to give a little extra pizzaz to your gift. Conversation Cuties from the edible category would be great class gifts too! Slime (sensory section) in condiment containers would be a fun, simple way to give classmates a gift without giving candy! Trace your child’s hand on a folded piece of paper, with the fold by their thumb and first finger. Then cut out the hand. When turned upside down there will be a perfect heart! 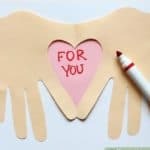 Write a fun note on the hands or make a cute card with it. Cut a basic paper plate into a heart shape and punch out holes around the edge. Use yarn, twine, string, cord or ribbon to lace through the holes. This could also be done on cardstock, cardboard, foam, or felt. 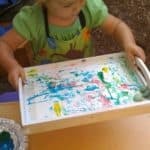 It’s great for fine motor and something they can easily do over and over! Take an empty toilet paper, wrapping paper or paper towel tube and bend it into a heart shape. Give your child some paint and let them use the end of the tube as a stamp! This would work great to make wrapping paper for a gift, or over the top of a water-colored painting. Paint a basic paper plate and cut out the inside almost all the way around to make a ring for their hat. You can shape the inside to a heart, or paint it like a sweetheart. 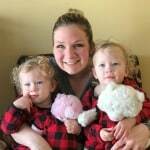 Let kids make their own hats and send awesome pictures to Grandma and Grandpa! Tape a piece of paper into a box or 9×13 pan or other tray lined with tinfoil. Drizzle two or three colors of paint randomly on the paper. Drop in a few marbles (or small rocks) and tilt the box to spread the paint around. When you’re finished, cut out a heart or two! You could also use toy cars or trucks to drive through paint for awesome track designs. 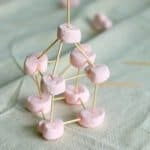 Take toothpicks and heart-shaped, or pink, marshmallows (the small ones) and build something! This is an excellent STEM activity. 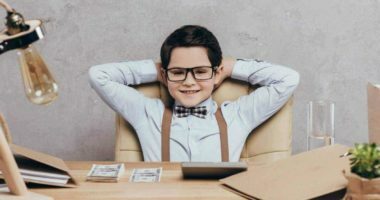 Younger kids can test small structures, while older kids can attempt bridges and other more complicated castles. My girls would definitely build a castle, but you could build anything you want! 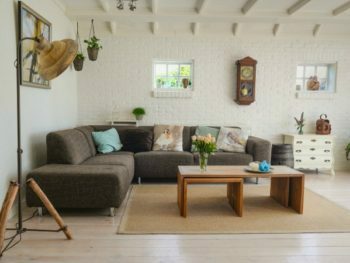 This one involves more needed items than some others on the list, but it turns out really amazing! 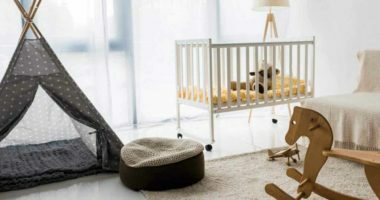 You likely have most of the items at home already, if not all. It’s a great way to show kids how exciting science experiments can be! Here’s another one that you likely have most or all of the ingredients for. Milk, dish soap, food coloring, toothpick, heart cookie cutter (optional) and glitter (optional). Pretty simple! Adding food coloring to the milk, then dipping the toothpick in dish soap before dipping it into the colored parts of the milk make the colors explode! This is a fun one for kids who like a little bit of excitement in their projects! 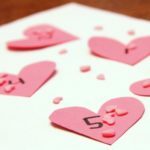 Cut out hearts and put a simple (1-9) number on each one. 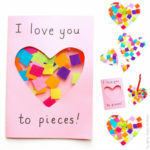 Pour out some heart shaped sprinkles, or beads and ask your child to put the correct amount on each paper heart. 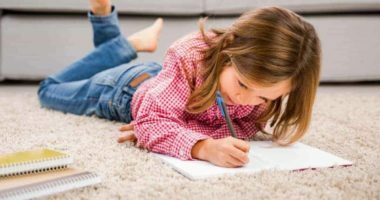 For older kids, you could have them add, subtract, multiply, or divide the numbers. When they’re done, let them eat the sprinkles if they wish! My kids love projects, especially when they smell great, are edible or include glitter! 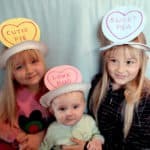 This makes Valentine’s Day crafts an easy win with them. 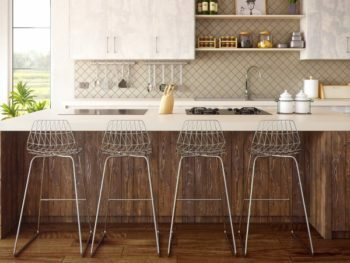 We love finding reasons to try new projects and have added some of these activities to our list of favorites. 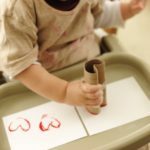 We hope you love them too and enjoy doing some educational and frugal Valentine’s Day activities with your kids! 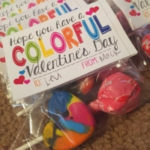 What is your favorite Valentine’s Day craft to do with kids? Share in the comments! Hi, I’m Kate Blake! 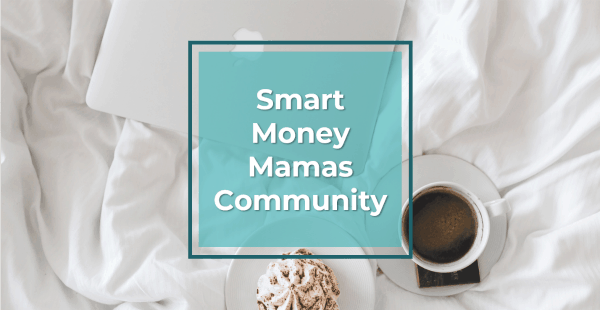 I'm a single mama to 2.5-year-old identical twins H & P. I have multiple sclerosis and am raising my girls on a fixed income, so I'm a pro at finding creative ways to save money. 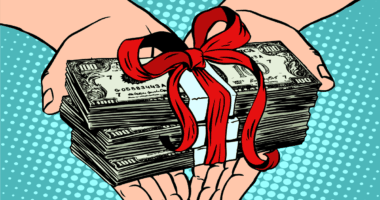 But even on a tight budget, we love getting out to do cheap or free things around our area. I know a good deal when I see it! 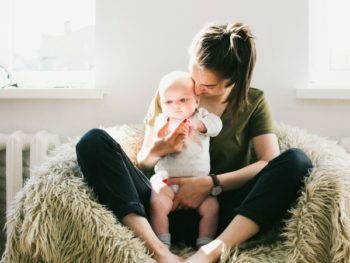 Love this post, mama? We’ve got more for you!